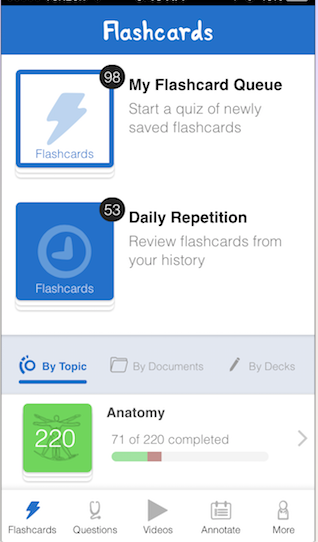 Your saved flashcard and question queue from the website will match exactly what's in your flashcard and question queue on the mobile app. If you’re in the middle of quizzing from your queue on the website, and you have to go catch a bus, for example, we’ve saved what’s left in your queue! 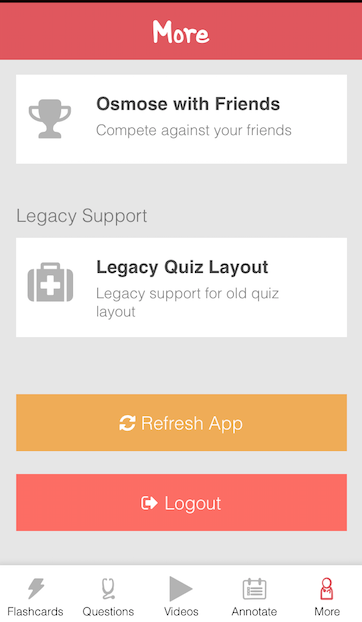 Your flashcards and questions are ready to go on your mobile app. You don’t have to do anything. If something seems off, just refresh the app by going to “More” in the bottom tab > Refresh app.